• a gallery building designed for the art collection by Paul Philippe Cret, eminent architect of the early 20th century, with works of art by Henri Matisse and Jacques Lipchitz integrated into the structure. Many who visit the Barnes Foundation in Merion are struck by the intense immersion of the experience. It was meant to be so and cannot possibly be replicated elsewhere. Many have written about the qualities that set the Barnes apart, as you will see from the articles in our Commentary Archive. The following essay, “More Than An Art Collection,” explains clearly the essence and importance of The Barnes Foundation in Merion. The original essay was published in The Main Line Times, Ardmore, Pennsylvania. 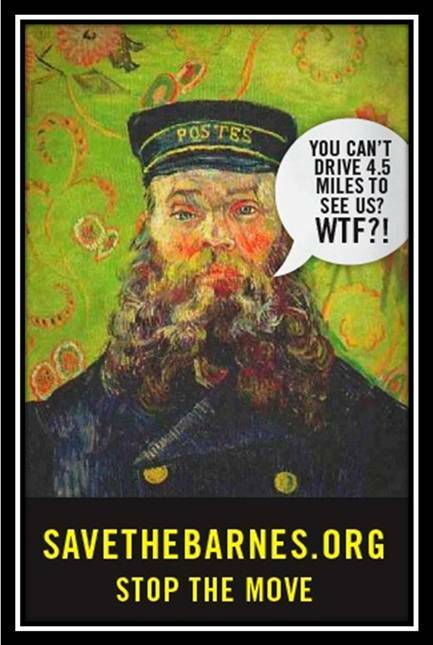 People ask, “What’s wrong with moving the Barnes art collection to Philadelphia? It will stay intact and remain in the region.” This line of thinking ignores the fact that the Barnes is much more than an art collection. The Barnes Foundation is a unified whole which includes the art and ethnographic collections, gallery building, arboretum and educational programs. These inter-related parts reinforce and support one another, providing what is widely hailed as an aesthetic experience unique in the world. Albert Barnes sought to understand art and was a visionary collector with innovative tastes. 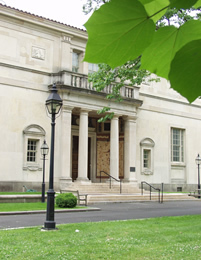 The art gallery building was designed specifically for his art collection by renowned architect, Paul Philippe Cret. With John Dewey, America’s foremost educational philosopher, Barnes developed an educational program for the study of art with based on the unity of aesthetic expression, throughout time and across cultures. The art gallery is installed according to those educational principles and is the reason for the wall ensembles with their unusual, even staggering, display of art and artifacts. 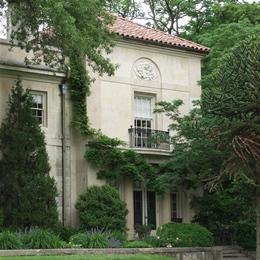 The gallery is situated in the midst of an extensive arboretum and sited in relation to trees that were planted long before Barnes purchased the property. 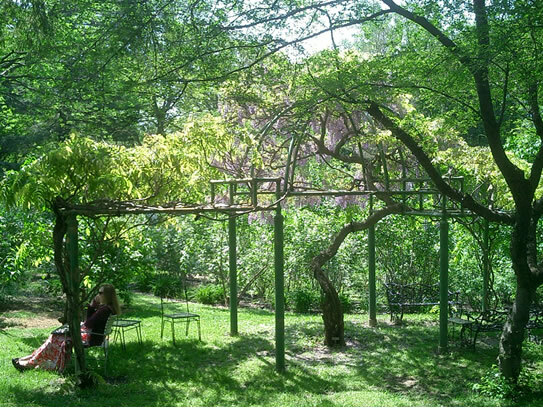 The Arboretum and its educational program were developed by Laura Barnes, based on the same principles as the art program. Trees and plants were chosen to relate to specific works of art inside the gallery and to the materials and design of the gallery building. The Cousa dogwood trees in front of the gallery were selected because their exfoliating bark mirrors the colors of the limestone façade and the ceramic roof tiles. The gallery building is a work of art unto itself, with Jacques Lipchitz bas reliefs punctuating the limestone façade. The entryway is of Enfield ceramic tiles, commissioned in an African mask motif, and this theme continues through the exterior ironwork and on the friezes inside the gallery. This recurrent African theme reflects Albert Barnes’ profound respect for African American culture and prefigures his relationship with Lincoln University. Rising above the main gallery is the monumental mural, La Danse, by Henri Matisse, which was commissioned, designed, and painted for this specific location-- over the three arched windows that look out to the Arboretum beyond. (Two museums in France devote gallery and exhibition space to the history of this mural, which had to be painted twice, and became a seminal work in Matisse’s career.) The shape of Matisse’s arched mural is echoed in the stone well in the front of the gallery and again in the shape of the wisteria arbor behind the gallery. The Barnes Foundation in its totality is an artistic masterpiece, thoughtfully planned and executed by Albert and Laura Barnes. To remove the art collection to Philadelphia is to destroy the incomparable experience they wanted to pass on in perpetuity to future generations. In fact, this will eviscerate the Barnes Foundation. Moving the art collection to “save” the Barnes is the cultural equivalent of the “successful” surgery that leaves the patient dead. This will be the tragic case of tourism destroying the very thing it is seeking to promote. The Barnes is a magnificent gift, a visionary achievement, and an important part of our cultural patrimony. 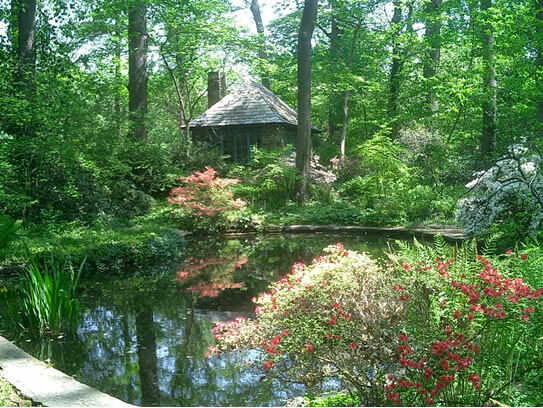 Let us support, celebrate, and honor an intact Barnes Foundation in Merion.